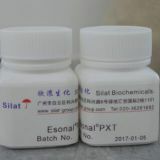 Esonal®PXT is a multi-functional cosmetic ingredients with the efficacy of sterilization, anti-oxidation and soothing. When combined with other preservatives, Esonal®PXT can produce synergies. 1 Esonal®PXT has good antimicrobial effect on bacteria and fungi. 2 Anti-oxidation properties: the anti-oxidant ability of 34ppm of p-Hydroxyacetophenone is comparable to that of 6ppm of vitamin E.
3 Soothing: p-Hydroxyacetophenone can inhibit the activity of cyclooxygenase-2 (COX-2) enzyme.